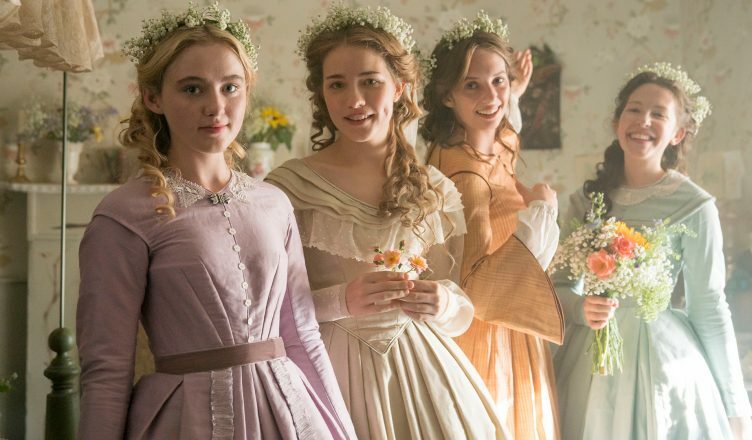 When I watched the fine BBC production of Little Women at the Tribeca Film Festival last week, I kept thinking the actress playing Jo looked like a young Uma Thurman. It was only after the screening that I discovered why; Jo is played by Maya Hawke, the daughter of Uma Thurman and Ethan Hawke. Both Maya’s parents, no longer married to each other, attended the screening to support their daughter, who has the fine features and height of her mother. The new television series Little Women, which was a big hit when it aired in Britain in December, premiered as part of the Tribeca TV programming at this year’s Festival. Episode one of the three episode series will air May 13 on PBC. First published in 1868, the classic coming-of-age story follows the four girls of the March family, Meg, Jo, Amy and Beth, as they try to form their individuality and find their place in the world. Their father (Dylan Baker) is away fighting for right in the American Civil War and Marmee (Emily Watson), their beloved mother, is keeping the home together. The cast, in addition to Watson, features acting royalty Michael Gambon, and Angela Lansbury as Aunt March. After the screening last weekend, Maya Hawke, her castmate Kathryn Newton (Amy), series writer Heidi Thomas, along with executive producers Colin Callender and Rebecca Eaton (Sherlock, Downton Abbey) participated in a panel. Who is Ghost? The Villain of Ant-Man and the Wasp REVEALED!